Social media presents a huge opportunity, the competitive advantage in a globalized marketplace depends on the company's market intelligence. Companies that wish to stay ahead of the trend must compare their capabilities amongst peers and competitors, and our intelligence service could help. Big Data: Process mass data collected from the Internet. Comprehensive: Provide multi-perspective analysis of text, sentiment, content, network, interconnectedness, message flow of individuals. Measurement: Evaluate campaign results, social performance and KPI metrics. Achieve cost effectiveness and volume of scale by focusing more on your core business and outsource non-critical but essential activities to service provider. 2) Outsourcing management - managing service providers. Low Entry: you can pay the cloud services as your business grow, no huge upfront investment. No Barriers: you can access the data and services from any devices and anywhere. Reliable: your data are managed and protected by the professionals and robust infrastructure. Under the current business model, the competition lies in the entire value chain and the flow of information and intelligence. It is not just about a single department or company but the entire value chain: from suppliers, vendors, contractors, internal departments, business partners to customers. A brand new scope of management could help you win this battle through better streamlining the value or supply chain and enhancing info. Same applies to venue, queuing management, and fleet management of physical locations and offices. Intuitive: Present your geo data on the map, in the most familiar way. Impress: Better navigation with interactive map, instead of static images. Explore: Display directions and routes. Nowadays young professionals prefer to work at their own comfort. Just as the emergence of smart phones and instant messaging has transformed our main communication channel, the new business environment encourages mobile office and cross-platform collaborations. These changes have brought new challenges as well as opportunities to management. A new concept of resources and people management; team formation, team-building; and communication with management is vital in this new era. Reach: Engage and connect with your customers via mobile apps. Rich: Make better presentation with animations, videos, push messages and in-app purchases. Convenience: Deliver anytime, anywhere access. Change is the core element for any organization to cope in today's business environment. Most business leaders understand the close link between knowledge and strategies contribute to profitability and competitive advantages to their organization. Reap the benefits of acquiring the right knowledge, applying relevant and current lessons from past cases, and incorporating both in everyday business operations process. Automate: Reduce number of manual tasks. Accelerate: Digitize business processes and daily routines. Elevate: Share resources, adopt common standards and encourage good practices. Effective big data management could increase your efficiency and competitiveness in today's ferocious market, and it's essential and critical for business success. A new philosophy, concept, and new way of planning and execution on content management is needed. We have tools and arrangements that could fulfill the need to capture, curate, manage, and process large amount of data within an effective timeframe. Smart: you can quickly locate critical business information for better decision making. Fast: you spend less time searching for existing information, so you can move business fast and forward. Relevance: highly relevant search results and help you find the exact information you looking for. Creativity and innovation are the key drivers of economic growth and development in the medium to long term. To ensure that your intangible proprietary information is secure, intellectual property protection could act as a high entry barrier for competitors. A well-balanced, affordable and reliable system of intellectual property rights is crucial in this complex process as it protects risky investments of innovative and creative companies from potential imitators. Identify: Spot out the potential weaknesses, vulnerabilities and threats. Enhance: Reduce frauds and errors. Vault: Set bar to guard your digital assets with encryptions. Enterprises are amongst the most sophisticated users of digital marketing technologies. However, meeting consumers expectation of a timely and personalized response through the right channel could be a challenge for retailers. A dynamic website and dedicated support team could meet these challenges heads on. International companies could increase the efficiencies on content creation, procurement, e-commerce and brand management, and thus increase business volume as well. Responsive: Keep website shapes perfect with any screen sizes and devices. Retina-Ready: Optimize web graphics for High Definition Displays. Attract visitors, convert leads, and close customers deals. Looking for new ways to attract more leads? Traditional marketing has inevitability lost it's effectiveness in this digital age. We offer an all in one sales & marketing platform that can solve all kinds of business challenges. Our inbound marketing solution can help you manage your contacts, attract new leads and build quality relationship with your customers so you have a higher chance to close deals. What happens when a visitor arrives? 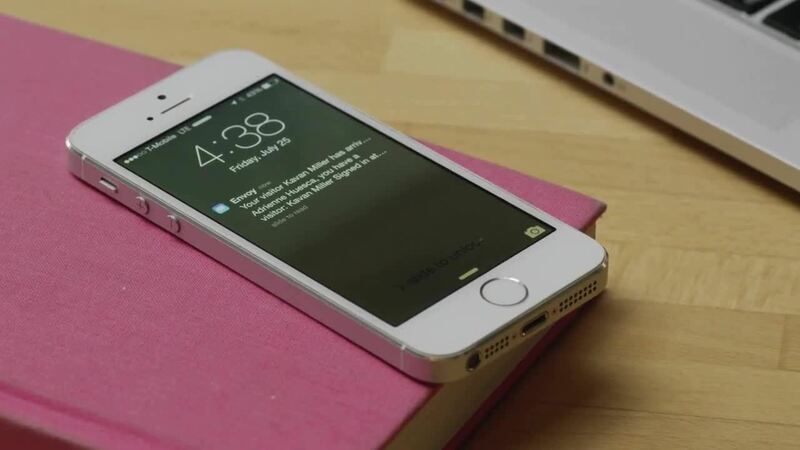 Envoy automatically alerts your employee when their guest arrives—saving you time and hassle. The employee knows who to greet and when, making awkward meetings a thing of the past. Select the room you want and a calendar event is created in your phone’s calendar. And once you are near the room, you can check in on your phone too. 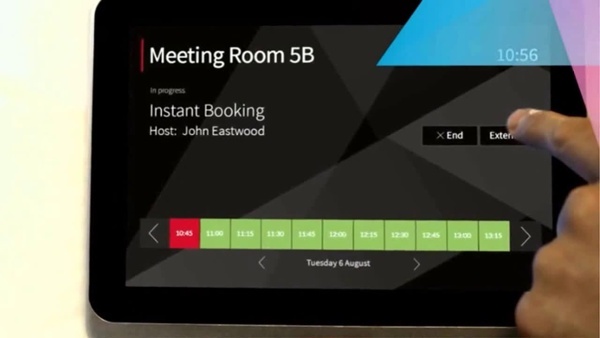 Finding meetings rooms becomes a breeze with the Outlook/Google Calendar Room Finder. Just press a button to instantly show a list of available rooms at your location. Simply select the room you’d like to invite to the meeting and you’re done. Works with Mac, PC, Outlook web and Google Calendar. 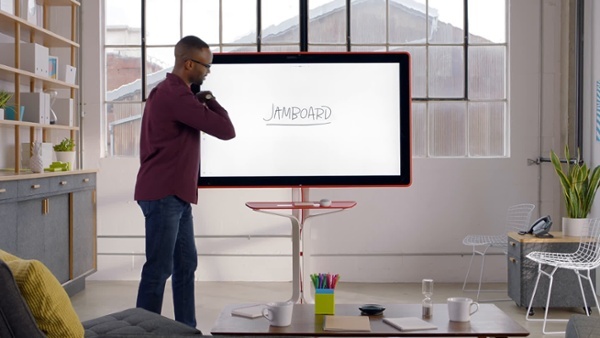 Jamboard is a product for G Suite customers that features a 55-inch, digital, collaborative whiteboard that works in the cloud. You can create notes, text, and images on the board. And, whatever you put on the board can be shared with the rest of your team. The board comes with a passive stylus and an eraser (no batteries needed). The board can be wall–mounted or mounted on a moveable stand. Manufacturing consists of a large variety of works such as inventory, warehouse management, financial management, order management, customer relationship management and ecommerce capabilities, etc. NetSuite's cloud-based software suite might be a good choice for manufacturers wanting a complete business solution. It addresses a wide variety of production methods which can fulfill your specific requirements. Nowadays, the applications for high-quality streaming video continue to expand and people are demanding for premium online media delivery and flawless viewing experiences. Poor performance of network will definitely lead to a negative impact to your brand and may cause potential losses. To accomodate the needs, Akamai provide consumers with instant access to secure, uninterrupted content which helps eliminating your hassles and let you focus on creating the content for these great experiences. A nice-looking store is very important to retail industry but how can you get people all around the world in? Google Street View | Trusted brings you an interactive 360º virtual tour that can help promote your store on website or marketing material. Potential customers from different places can try to "walk" into your store and feel the atmosphere without going to the actual store. Opening bank account, speeding up lending, preparing investment documents may be your major work of the day and these tasks would require a signature from the client. DocuSign enables you to easily sign PDF & Word documents, fill out forms, and collect signatures from others so as to streamline your work and save time. 10 of top 15 U.S. financial services companies select DocuSign as their Digital Transaction Management (DTM) platform.